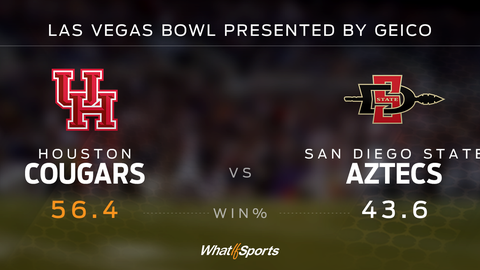 WhatIfSports.com simulated every 2016 bowl matchup -- plus the College Football Playoff National Championship -- 501 times using its college football simulation engine. 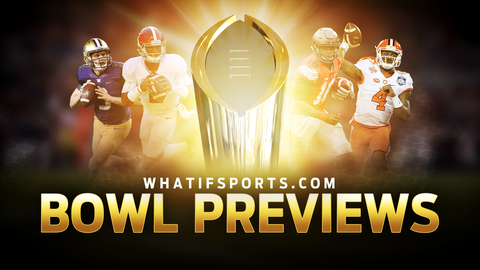 As part of the 2016 bowl preview, view each team's winning percentage, predicted score and box score recap. If you would like to simulate any bowl game yourself, every 2016 bowl team is available using the free College Football SimMatchup feature. Do you have a few predictions of your own? 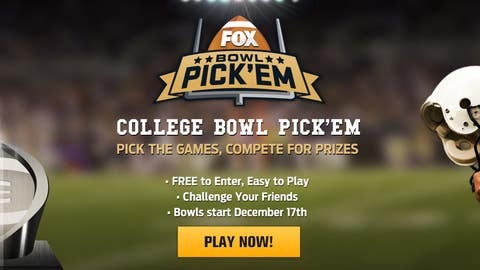 Show off your college football knowledge and compete for prizes in FOX Bowl Pick ‘Em. Play in a group with friends or go on your own and challenge the nation. 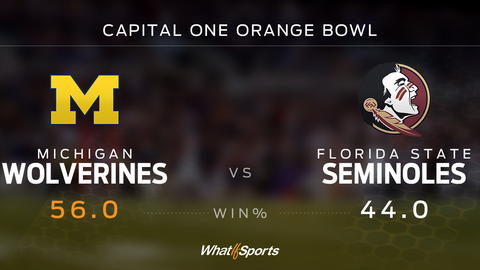 Box Score Recap: The Capital One Orange Bowl was certainly not devoid of star power, as it featured Michigan’s Heisman finalist, linebacker Jabril Peppers, and Florida State’s phenom running back, Dalvin Cook. 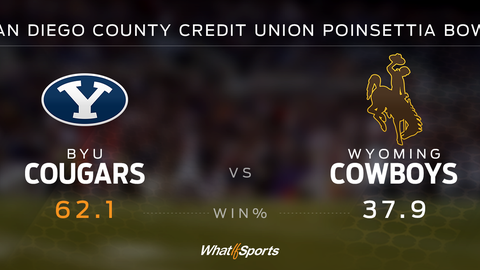 While Cook racked up a modest 111 yards on the ground with a touchdown, this war of attrition was defined by two paramount defenses. After scoring 16 points each in regulation, both squads found the end zone in the first overtime. Michigan settled for a field goal in the second OT and let its defense do the rest. Taco Charlton came up with a crucial third down sack, which forced an unsuccessful 51-yard Seminoles’ field goal attempt and resulted in a 26-23 Michigan victory. Box Score Recap: All of the college football world was put on notice as the Crimson Tide blew through their regular season schedule. 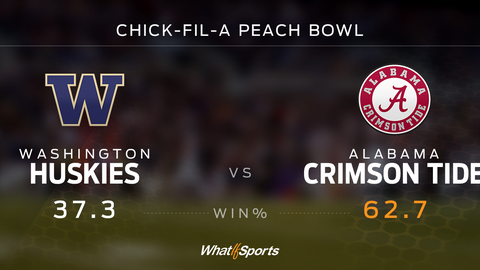 In the College Football Playoff, Alabama had an inferior fourth-seeded Washington on its plate and seemed destined to roll to another victory, but the Huskies had other plans. With less than four minutes to go in the fourth quarter, the game was tied at 28. Calvin Ridley caught his second touchdown pass of the game with 3:07 remaining to give the Tide the lead for good. 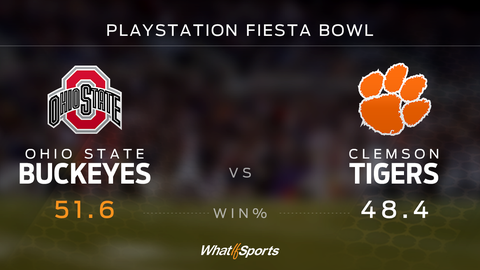 Box Score Recap: In the second College Football Playoff matchup, the Buckeyes were pitted against Heisman runner-up Deshaun Watson and the second-seeded Tigers. Behind a stout Buckeyes defense, Watson was held in check for the vast majority of the game, but found Deon Cain in the end zone on a 52-yard bomb as time expired, and connected with Mike Williams on the ensuing two-point conversion to send the game to OT. After OSU scored a TD in the first overtime, Clemson could not answer as Nick Bosa sacked Watson on fourth down to preserve the Buckeyes’ 35-28 victory. 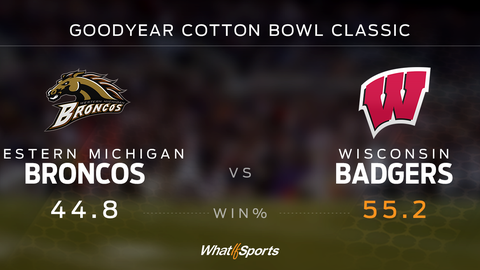 Box Score Recap: Western Michigan entered the Cotton Bowl Classic with a major chip on its shoulder. Despite joining Alabama as the only undefeated teams in college football, the Broncos were at risk of being snubbed for a New Year’s Six game before Navy’s loss to Temple in the AAC championship. Fueled to prove their inclusion should never have been in doubt, the Broncos offense found the end zone five times against Wisconsin. It was not enough to outscore the Badgers though, as Wisconsin triumphed 41-35. Box Score Recap: Two of the hottest teams in all of college football, Penn State and USC, were showcased in a highly touted Rose Bowl matchup. 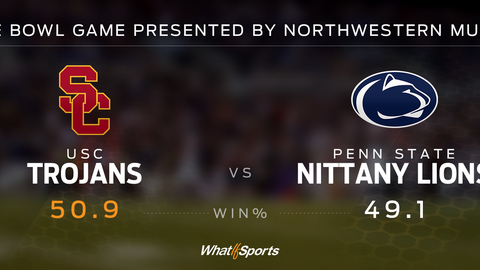 The Nittany Lions were riding a nine-game winning streak, while USC had ripped off eight straight. This double-overtime nail biter featured six lead changes, and although “never-say-die” is often overused, USC’s flair for the dramatic more than justified that label. The Trojans scored a TD on the last play of regulation to force overtime, and ended the game with a 13-yard Justin Davis touchdown dash. Box Score Recap: Oklahoma’s Baker Mayfield and Dede Westbrook finished third and fourth, respectively, in the Heisman voting. But would that offensive star power translate to a Sooner victory? In a game with zero turnovers and only eight total penalties (four each), the team that made more plays would be the eventual winner. 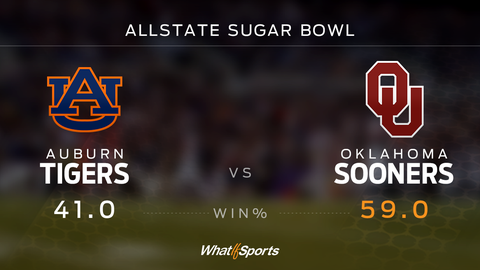 Auburn came back from a 17-point deficit, but Oklahoma made the biggest play of the game with a minute left in the fourth quarter, when Joe Mixon caught a 22-yard touchdown pass from Mayfield to lock it up the Sooners’ 38-31 win. 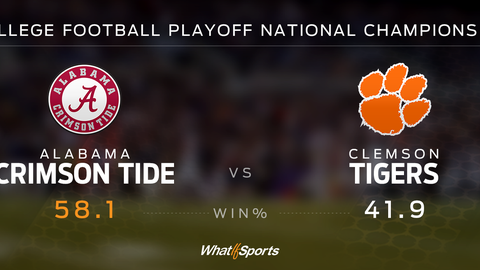 Box Score Recap: One year later, Clemson and Alabama have navigated back to the College Football Playoff National Championship game for a highly-anticipated rematch of last year’s title tilt. Alabama won 45-40 in 2016 as the Crimson Tide and Tigers combined for 40 fourth-quarter points. This year’s game followed a similar blueprint, with Alabama clinging to a 17-13 lead heading into the fourth quarter before the teams put up a collective 31 points in the final stanza. It began with a Ray-Ray McCloud touchdown reception from Deshawn Watson that gave Clemson a 20-17 advantage and the Tigers’ first lead of the game. Alabama went ahead 27-20 with a 47-yard field goal and an 18-yard Bo Scarbrough touchdown run, but Clemson tied it up on the next possession when Wayne Gallman caught a pass in the end zone with 1:49 to play. Less than 30 seconds later, Alabama’s Damien Harris broke free on a screen pass and ran 80 yards for the game-winning score. 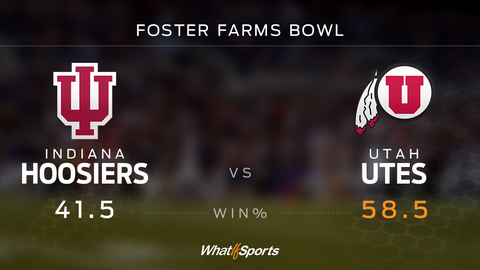 Box Score Recap: The 2016 bowl season began with a bang in this offensive battle. 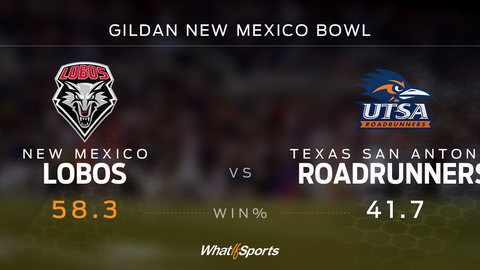 Although it was the first time “bowling” for UTSA, the school hung with New Mexico throughout the contest. But despite the Roadrunners’ efforts, UNM’s rushing attack was a bit too much as the Lobos’ ground game netted 264 yards, including a 76-yard touchdown by Teriyon Gipson. Box Score Recap: After being snubbed for a possible Heisman, Donnel Pumphrey showed Houston and the rest of the country why he should have been a finalist. Pumphrey, one of only two 2,000-yard rushers this year, racked up 237 yards on the ground and added a go-ahead touchdown reception in the fourth quarter. However, his performance was not enough to overcome a determined Houston squad. 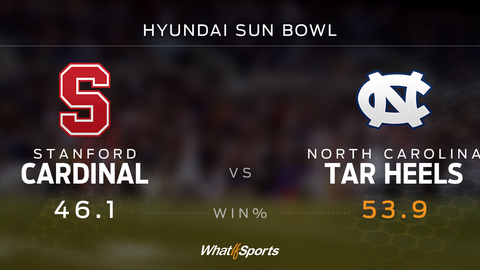 Greg Ward Jr. threw for 334 yards and three TD passes, including the game-winner to Duke Catalon in this double-overtime thriller. Box Score Recap: The Knights jumped out to an early 14-0 lead thanks to two first quarter McKenzie Milton touchdown passes. 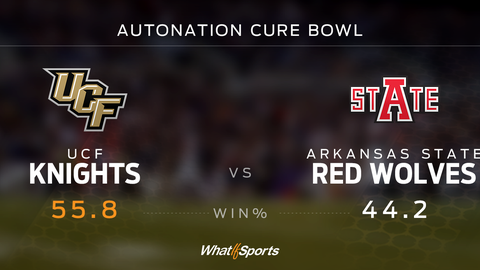 Arkansas State clawed its way back to within three early in the fourth quarter, but Milton sealed the deal for UCF when he completed a game-clinching third TD throw -- and his second to Tre’Quan Smith -- with 5:21 left in the game. 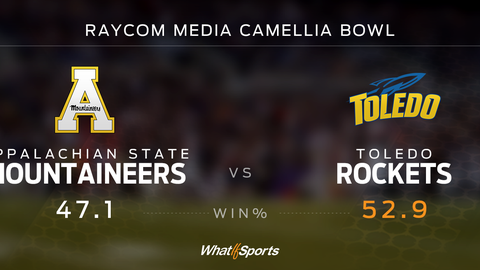 Box Score Recap: Appalachian State’s Jaquil Capel doubled his scoring output for the entire season with two touchdown receptions, but it was not enough to overcome the resilient Rockets passing attack. Logan Woodside, who led the nation with 43 TD passes in the regular season, added three more to lead Toledo to victory. 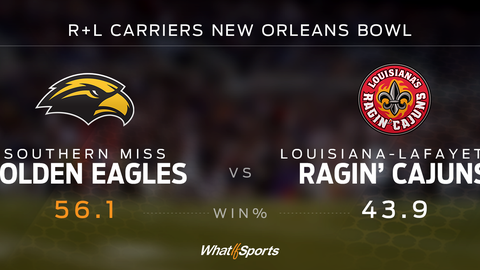 Box Score Recap: After laying an egg against Washington in the Heart of Dallas Bowl last year, the Golden Eagles vindicated themselves by caging up the Ragin’ Cajuns to the tune of a 13-point victory. Ito Smith, who rushed for 15 TDs during the regular season, scored twice on receptions and added 145 rushing yards. Nick Mullens led the passing attack for the Golden Eagles, throwing for 296 yards, three touchdowns and zero picks. Box Score Recap: The heavily favored Golden Hurricane came into this matchup as an offensive juggernaut, averaging 41.4 points per game, 11th-most nationally. They did not disappoint, leading by as much as 28 points when James Flanders ran into the end zone for the second time. Central Michigan’s Cooper Rush found Corey Willis for two fourth quarter scores, but it was too little, too late as Tulsa won 38-24. Box Score Recap: An electrifying performance by the Hilltoppers’ Anthony Wales propelled Western Kentucky to a 25-point lead late in the third quarter, with the running back racking up four touchdowns. Game over, right? Not so fast. 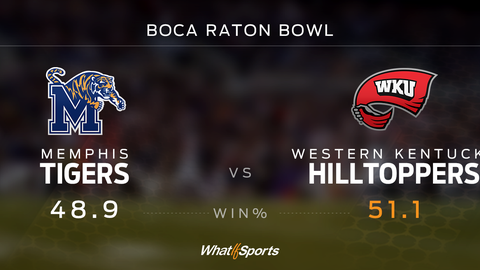 The Tigers tore through the Hilltoppers’ defense repeatedly and scored a go-ahead TD with less than a minute to go. However, aided by a critical Memphis facemask penalty, Skyler Simcox finally tamed the Tigers for good when he booted a game-winning 24-yard field goal as time expired. Box Score Recap: After losing QB Taysom Hill to an elbow injury in its last regular season game, perhaps BYU’s expectations were tempered a bit heading into its showdown with Wyoming. Backup QB Tanner Mangum quelled those doubts early and often as he threw for 239 yards and four touchdowns. Cowboys running back Brian Hill, who was fourth in the nation in both rushing yards and rushing touchdowns, tried to keep the game close. His 158 yards and two TDs were not enough, however, as BYU prevailed. 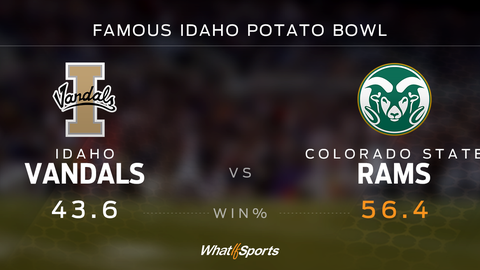 Box Score Recap: Idaho’s reward for its first winning season since 2009 was an in-state bowl game. 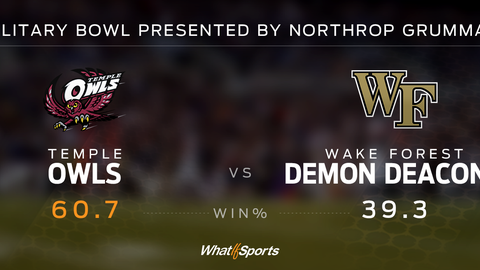 Fueled by the support of their fan base, the Vandals built up a 17-point lead by the end of the third quarter. Colorado State owned the fourth quarter though, scoring 21 unanswered points, including a miraculous game-winning 67-yard TD pass from Nick Stevens to Robert Ruiz with only 24 seconds to go. 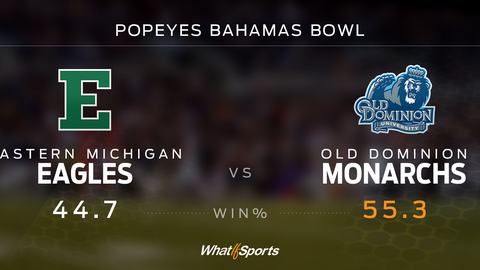 Box Score Recap: Apparently the Monarchs had been eating their spinach prior to the Popeye Bahama Bowl. Old Dominion dominated the line of scrimmage by pounding out 230 yards on the ground, including two 54-yard touchdown runs. EMU led 33-23 going into the fourth quarter, but the Eagles’ offense fell apart, as they were outscored 17-0 in the final frame. Box Score Recap: With Will Worth, the nation’s leader in rushing touchdowns, shelved by injury, Navy dropped its first game to Army since 2001. The Midshipmen bounced back against the Bulldogs, though. 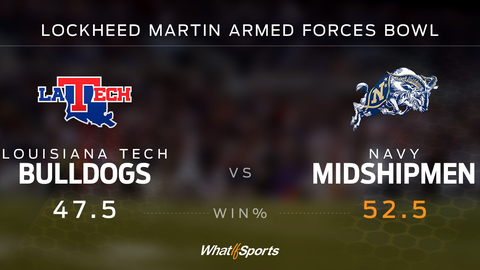 A dominating Navy rushing attack combined with a generous Louisiana Tech defense proved to be the difference. The Midshipmen racked up 368 rushing yards along with four touchdowns via the ground to seal their 45-38 win. Box Score Recap: Amid rumors swirling around the future of head coach Neal Brown pertaining to several coaching vacancies, the Trojans subdued the Bobcats’ passing attack to the tune of 205 yards and zero touchdowns. 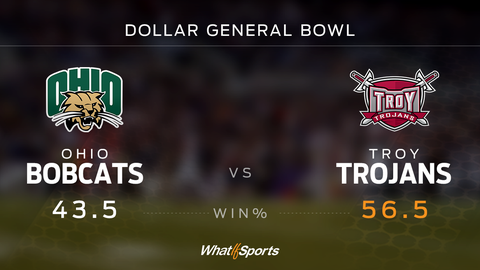 Brandon Silvers led the charge for Troy by racking up 254 yards passing, with three TD throws and no interceptions. 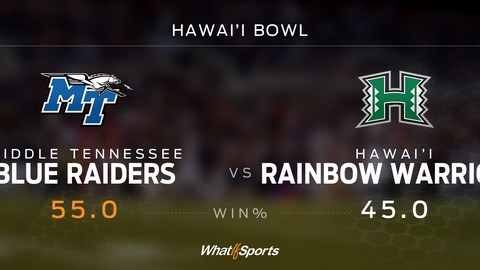 Box Score Recap: Home “island” advantage was not enough to lead the Rainbow Warriors to a W, as Middle Tennessee put on an offensive clinic and defeated Hawaii 42-35. Despite three touchdown runs by Hawaii’s Diocemy Saint Juste, the Rainbow Warriors defense simply could not contain the prolific Blue Raider passing attack. Brent Stockstill threw for 383 yards and four touchdowns to lead Middle Tennessee to victory. As coach, you'll be responsible for bringing in a successful recruiting class while working within a budget and competing against hundreds of other coaches. 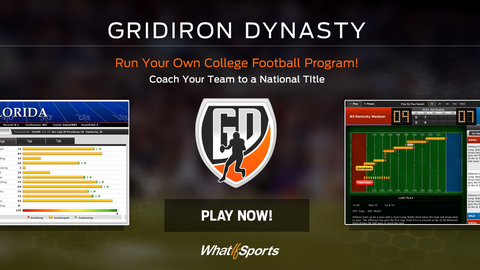 Once your team hits the field, it'll be your job to create and adjust practice plans, game plans, and depth charts in the hopes of bringing your school the national title (and the prize that comes with it)! Box Score Recap: The RedHawks became the first team in FBS history to win six straight games after a 0-6 start. 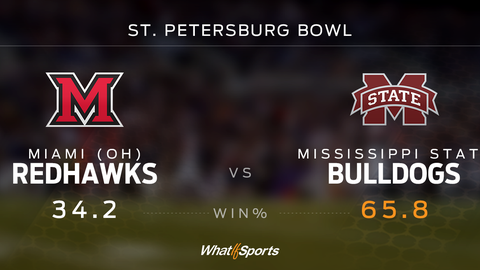 Although Miami came in as a double-digit underdog, the RedHawks hoped to carry their momentum to a victory over Mississippi State. Miami held its own through three and a half quarters, but Bulldog quarterback Nick Fitzgerald dashed the RedHawks’ dreams with two long touchdown runs in the final 6:17 to seal the victory for Mississippi State. Box Score Recap: Boston College sure could have used former Eagle Luke Kuechly in this one. The Terrapins rushed up and down the field to the tune of 241 yards, including two touchdown runs by Ty Johnson. 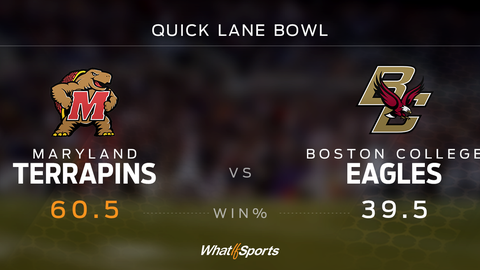 Maryland’s defense also came up big by limiting the Eagles to 97 total passing yards. Box Score Recap: This seesaw affair went down to the wire, including three lead changes in the fourth quarter alone. Vanderbilt’s Ralph Webb, who rushed for 1,172 yards during the regular season, was held in check with just 59 yards on the ground. Meanwhile, NC State’s Matthew Dayes matched Webb’s rushing yards on one play alone, as he scampered for a game-winning 59-yard touchdown run with 1:25 left in the fourth quarter. Box Score Recap: Army’s Jordan Asberry ran for 138 yards and two long touchdowns, but an anemic passing game (three total completions and a pick) helped seal the Black Knights’ fate. 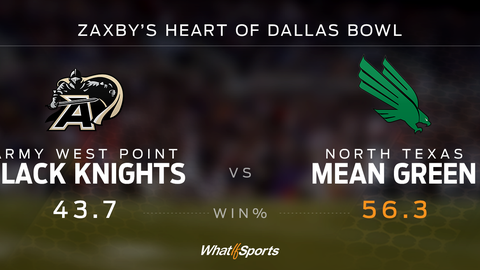 RB Jeffrey Wilson paced the Mean Green with 186 total yards and a touchdown, as North Texas pulled an upset over Army 30-23. Box Score Recap: Wake Forest scored first in this one with an early Chuck Wade TD reception, but it was all Temple after that. Jahad Thomas, who led the Owls in rushing yards and receiving touchdowns this season, came up big for Temple. Thomas ran for a 42-yard TD to capture a lead that the Owls would never relinquish, and added a receiving touchdown to help secure the victory. Box Score Recap: The Cougars’ Luke Falk came into this matchup as one of the top-ranked QBs in the NCAA (fourth in passing yards and fifth in touchdown passes). He did not disappoint. Falk helped Washington State jump out to an early lead with two first-quarter touchdown passes, and finished the day with 302 yards and three TDs. Gerald Wicks contributed four touchdown scores -- two rushing and two receiving -- as the Cougars dismissed the Gophers rather handily. 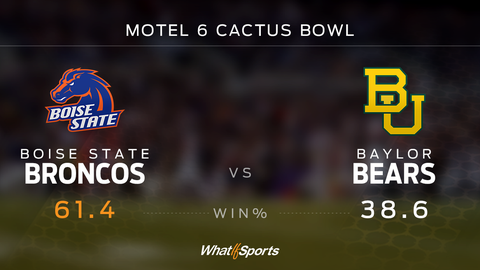 Box Score Recap: It was the Jeremy McNichols show in the Cactus Bowl as the Baylor Bears had no answer for Boise state’s star junior running back. McNichols, who came in with the third-most TDs (23) and fifth-most rushing yards (1,663), dominated the Bears’ defense to the tune of 236 total yards and four touchdowns. 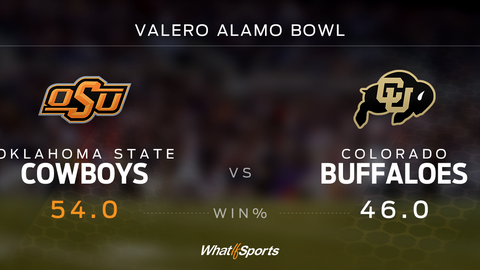 After jumping out to a 7-0 lead, Baylor was outscored 42-27 the rest of the way as the Broncos prevailed. Box Score Recap: Northwestern won the turnover battle 2-0, but relinquished a 14-point first-half lead, and eventually lost a heartbreaker. The teams went blow-for-blow throughout the second half, until the play of the game occurred with 14 seconds remaining. It was third-and-one on the Wildcats’ 45-yard line with the game tied at 34. Pittsburgh’s Nathan Peterman threw a Hail Mary to the end zone and wide receiver Jester Weah came down with the ball and gave his team a 41-34 victory. Box Score Recap: After jumping out to a 24-0 lead, the Hurricanes’ Walton Pounds lost a fumble with 35 seconds to go in the second quarter. The turnover led to a West Virginia field foal for the Mountaineers’ only points of the first half, but it gave the team a little positive momentum heading into the locker room. 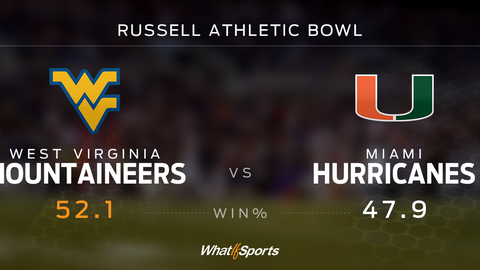 Following intermission, West Virginia outscored “the U” 28-3 in the second half, including a game-winning three-yard touchdown pass from Skyler Howard to Daikiel Shorts Jr. with just 14 ticks left on the clock. Box Score Recap: The Hoosiers outgained the Utes in total yardage, but imploded with three turnovers and a missed field goal. Utah’s Joe Williams, who had nine rushing TDs coming into the contest, added two more scores to go along with 94 yards on the ground. The play of the game occurred with 2:11 left in the fourth quarter. Indiana was on Utes’ 28 driving down the field for a potential touchdown and game-tying two-point conversion when Chase Hansen picked off an errant pass by Richard Lagow and essentially sealed the Hoosiers’ fate. 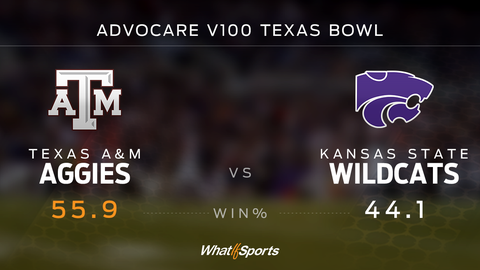 Box Score Recap: Trayveon Williams rushed for 156 yards and two touchdowns, and Trevor Knight threw for 274 yards and three scores as the Aggies handled the Wildcats convincingly 42-28. Jesse Ertz tried his best to keep Kansas State in the ballgame by throwing three TDs without a pick, but Texas A&M just had too many weapons. 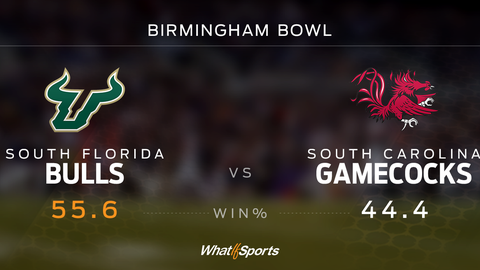 Box Score Recap: The South Florida Bulls came into the Birmingham Bowl boasting two players with 15 rushing touchdowns each on the season -- quarterback Quinton Flowers and running back Marlon Mack. These offensive stars showed off their end zone prowess by each scoring twice via the ground, while Flowers also threw a pair of touchdowns. The Bulls took down the Gamecocks 42-31. Box Score Recap: A year removed from the Frank Beamer era, the Hokies managed to earn yet another bowl bid following a 9-4 campaign. 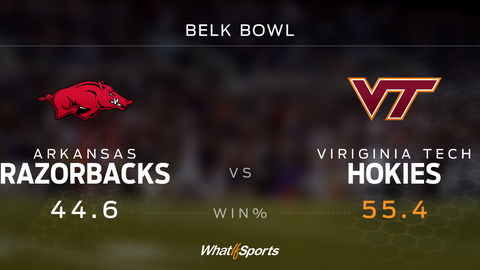 After throwing for over 3,300 yards in the regular season, Virginia Tech QB Jerod Evans added 239 yards and three passing touchdowns to his total, while also rushing for two more scores to lead his squad to a fourth-quarter comeback victory over the Razorbacks. Box Score Recap: This matchup showcased two of the most dynamic players in the country in Colorado running back Phillip Lindsay (16 rush TDs) and Oklahoma State QB Mason Rudolph (3,777 passing yards and 25 TD passes). They certainly did not disappoint in this back-and-forth affair. Lindsay rushed for 215 yards and scored three touchdowns, while Rudolph chucked the pigskin around for 294 yards and three TD passes. But his biggest pass of the game was a 13-yard completion that set up the game-ending field goal as time expired. 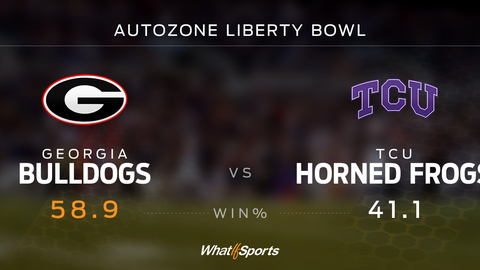 Box Score Recap: Kenny Hill came into the AutoZone Liberty Bowl throwing only three interceptions in his last four games. He threw three picks in the first 23 minutes of this contest though, and his Horned Frogs never recovered. The Georgia defense harassed Hill throughout the game, generating five sacks and thwarting his rushing efforts. Hill did throw four touchdown passes, but it was not enough to get the “W” as Georgia held on for a 31-28 victory. Box Score Recap: When Christian McCaffrey decided to forego his senior season for the NFL, and not play in the Hyundai Sun Bowl versus UNC, many wondered if Stanford would struggle. Three Tar Heel touchdowns later, and a lopsided 21-0 halftime score confirmed those doubts. But the Cardinal adjusted its game plan and mounted an epic comeback, which was capped off by a Keller Chryst go-ahead touchdown pass to give Stanford its first lead of the game at 29-28. However, with just 1:17 to go, UNC returned the ensuing kickoff 46 yards, and the offense carved out another 35 yards to set up the game-winning field goal as time expired. 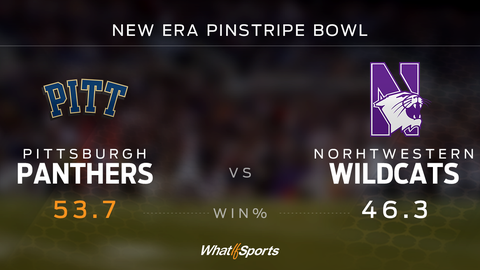 Box Score Recap: Nebraska’s top priority coming into the Music City Bowl was to contain Joshua Dobbs. The star Tennessee quarterback not only led his team in passing yards and touchdowns, but was also the team leader in rushing yardage and TDs via the ground. 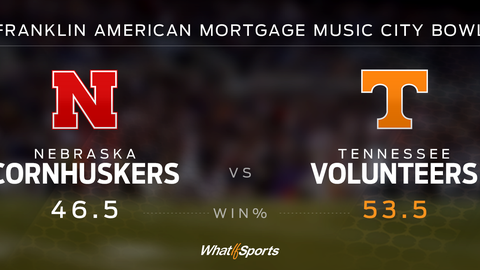 Although the Cornhuskers successfully slowed down Dobbs (40 yards rushing, 163 yards passing, one score), it came at the expense of stopping the rest of the Volunteers’ ground attack. Tennessee running backs Alvin Kamara and John Kelly torched the Cornhuskers to the tune of 261 yards and four total touchdowns as Nebraska fell 31-26. 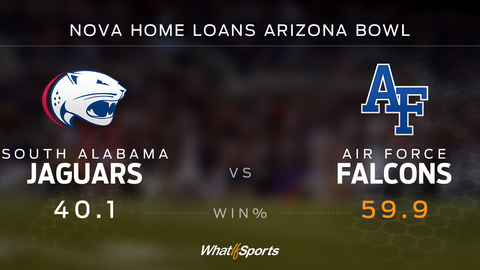 Box Score Recap: After falling behind 10-3 midway through the second quarter, Air Force manhandled the Jaguars the rest of the way, outscoring its opponent 33-10 to secure victory. The Falcons offense pounded out 347 yards on the ground, and featured six rushers with at least 30 yards, while Luke Strebel executed all five of his field goal attempts in this lopsided affair. Box Score Recap: The Yellow Jackets stung the Wildcats early an often behind a dominant 341-yard rushing performance, including 192 yards by Marcus Marshall. Kentucky’s Stanley Williams countered with 140 rushing yards, including a 58-yard touchdown rumble late in the fourth quarter. 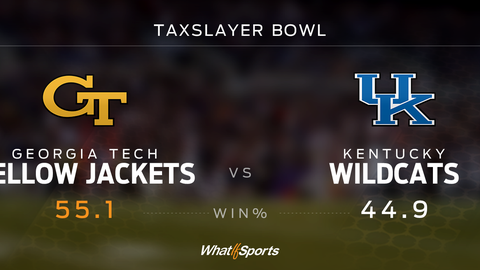 After falling behind 34-14, the Wildcats scored the final 13 points. 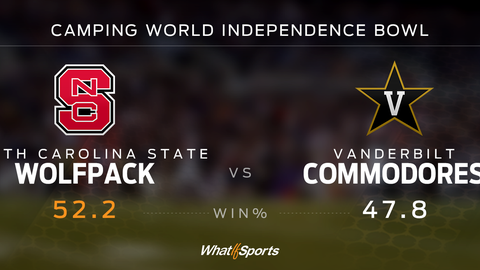 However, their comeback attempt fell short as they succumbed to Georgia Tech 34-27. 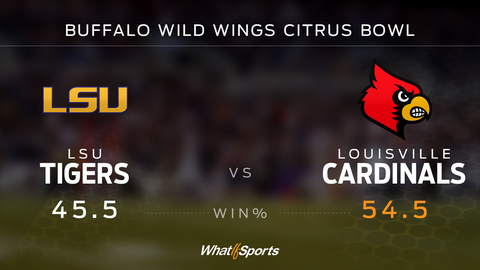 Box Score Recap: When Lamar Jackson easily secured the Heisman Trophy award, he essentially saved all drama for the highly anticipated Citrus Bowl. Jackson, who became the first quarterback in FBS history to accumulate 3,300 passing yards and rush for 1,500 yards in a season, ran for a 60-yard touchdown and threw for two additional scores, including the game-winner with just four seconds left in regulation. 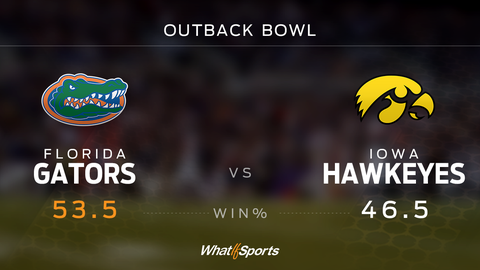 Box Score Recap: Unsurprisingly, the Outback Bowl was not a high-scoring affair. Iowa’s Akrum Wadley rushed for 124 yards and two touchdowns, including a 67-yard score. Inexplicably, the Hawkeyes only handed the ball to Wadley 12 times the entire contest. With 13 seconds left in the game, and Florida trailing by five, Austin Appleby tossed an 11-yard go-ahead touchdown to Antonio Callaway to secure the Gator victory.